The apartment is located in the modern and centrally located residence Fenix ? ?in Bibione and is just a stone's throw from the beautiful, wide and sandy beach. The family-friendly property is located in the residence Villaggio Mareblu. This lies on the Mediterranean in Bibione Pineda. It is only a short walk to the town center. The apartment is located in the central residence Ambassador in Bibione Spiaggia, directly on the beautiful, wide and sandy beach. The 2017 finished apartment is located in the equally new residence Quasar middle of Bibione, yet only a stone's throw from the beautiful, wide and sandy beach. The family-friendly property is located in the 4-star resort Tridente Bibione Pineda. The holiday village adjacent to the sea, making it ideal for families. The Villaggio Capistrano is a very well-kept row house with 40 apartments and is located in Bibione Spiaggia a short walk from the beautiful, wide and sandy beach. The accommodation is in the 4 * -Feriendorf International Tourist Village in Bibione. 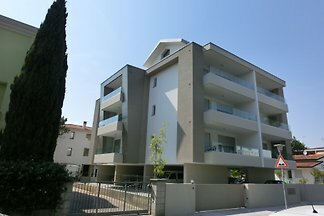 The holiday homes in the master Village Bibione are newly built and very modern. The Residence Gemini is located in rather quiet but well developed Bibione Pineda, on the beautiful Adriatic coast. The residence has a private pool on the roof of the building. The apartment is located in the central residence La Giudecca in Bibione Lido del Sole, is situated on the beautiful, wide and sandy beach. New building about 400 m from the beach and 150 m from the center. The Villaggio Azzurro is a well-kept row house and is located in Bibione Spiaggia a short walk from the beautiful, wide and sandy beach. 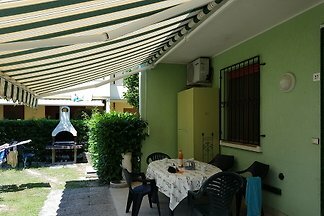 The apartment is located in the central residence Tivoli in Bibione and is within walking distance from the beautiful, wide and sandy beach. The apartment is located in the residence Argonauti centrally located in Bibione and yet only a stone's throw from the beautiful, wide and sandy beach. from 5 940 holiday homes & accommodations in Bibione were rated with an average of 4.4 out of 5 stars ! Rent successfully your holiday flat or holiday home in Bibione in only 20 minutes !